Private company directors are reminded to ensure they comply with Division 7A, where they provide loans or other forms of financial assistance to shareholders and associates or allow them to use company property. Trustees of discretionary trusts are now required to make and document trustee resolutions as to how the income of such trusts for the 2011/2012 financial year is distributed among beneficiaries before 30 June 2012. Under the new trust streaming provisions, trustees are permitted to stream franked dividends and capital gains to specific beneficiaries, rather than distributing amounts as part of the general distribution to beneficiaries. This beneficiary’s specific entitlement to franked dividends must be recorded by 30 June 2012. The trustee’s distribution resolution in favour of the specifically entitled beneficiary would generally be sufficient for this purpose. The specific entitlement to capital gains must be recorded by 31 August 2012. However, where the capital is included in the income of the trust, the specific entitlement to the capital gains would generally have to be the same date as the trustees’ determination of the income distribution, which would generally be 30 June 2012. Non-residents (other than companies) that hold taxable Australian property should consider getting a valuation of those assets as at 8 May 2012, to ensure they can obtain the Capital Gains Tax (CGT) 50% discount on the value increase before 8 May 2012. The 50% CGT discount for non-residents will be removed on capital gains accrued after 8 May 2012 on taxable Australian property such as real estate. However, non-residents will still be entitled to the 50% discount on that part of the capital gains accrued prior to 8 May 2012 (after offsetting any capital losses) provided they obtain a market valuation of assets as at 8 May 2012. An eligible small business may consider deferring the purchase of assets until after 30 June 2012, when the immediate deduction for a depreciating asset increases from $1,000 to $6,500. An eligible SBE may wish to defer acquiring a business vehicle (e.g. a ute) until after 30 June 2012 as the entity will be able to claim an immediate deduction for the first $5000 of the cost of such a vehicle if it started to use the vehicle or has it installed ready for use during the 2012-13 tax year. Moreover, the remainder of the cost of the vehicle will also be depreciated under a new single pool depreciation rate of 15 per cent in the initial year of purchase and 30 per cent in subsequent years to the extent that the vehicle was used for a taxable purpose. This concession does not apply to tractors, graders, road rollers, combine harvesters, trailers and earthmoving vehicles. The 2011-12 tax year is the final year in which an eligible SBE can claim the entrepreneur’s tax offset which is equal to 25 per cent of the income tax payable on the entity’s net business income. This offset is only available where the entity’s business income for the year ended 30 June 2012 does not exceed $50,000. The rebate reduces for every dollar on business income in excess of $50,000 and phases out completely where income exceeds $75,000. The offset is also means tested and will phase out at 20 cents for every $1 of income over specified thresholds of adjusted taxable income being $70,000 for single taxpayers and $120,000 for families. 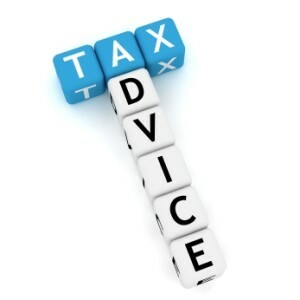 Contact our accounting and taxation team today if you believe you need to update your tax planning.